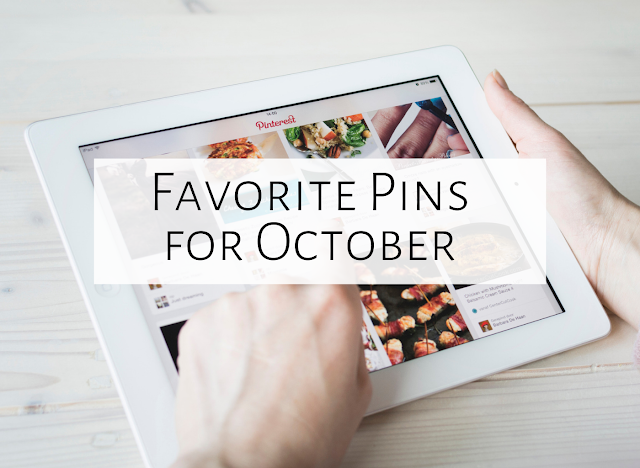 Today I'm blogging with my five favorite pins for the month of October! This video is SO awesome! 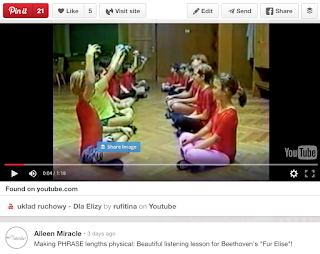 It shows a beautiful movement activity to "Fur Elise," in which students are paired up and use a tennis ball to show phrasing. I love how focused the students are, and how beautifully they show the phrases! 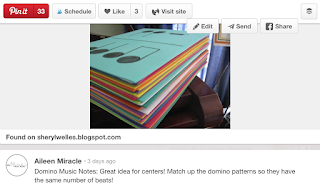 This is a really cute idea for having students think about the number of beats in each pattern. They play dominos with rhythm patterns, matching up dominos with other dominos that have the same number of beats. Love it! Could work in centers or as a whole group. 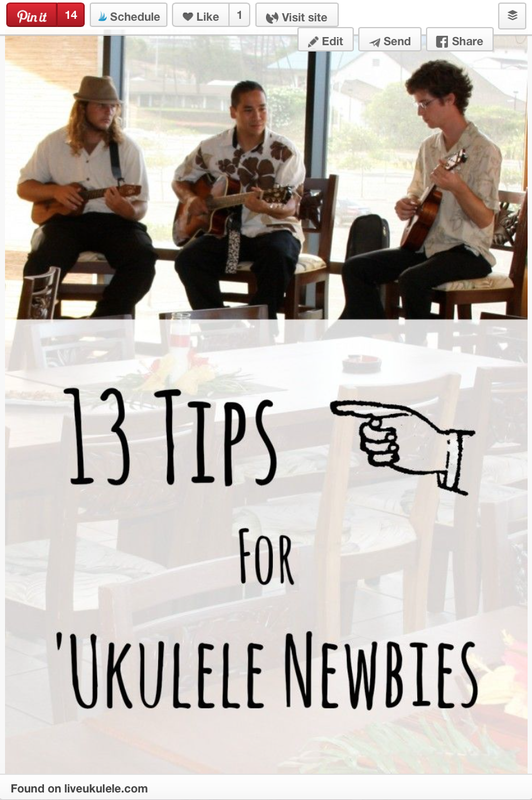 My husband bought me a ukulele last Christmas and I've been meaning to teach myself how to play. 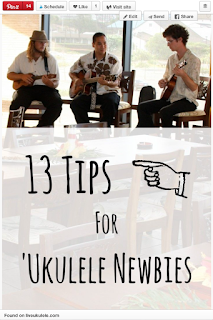 This awesome blog post has tons of tips for the beginning ukulele player! 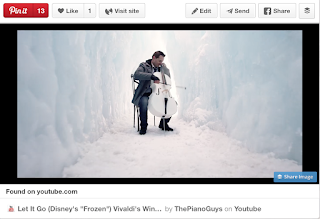 My three-year-old is a bit Frozen-obsessed, so I really appreciated this beautiful rendition of "Let it go" by the Piano Guys, which interweaves Vivaldi's "Winter." 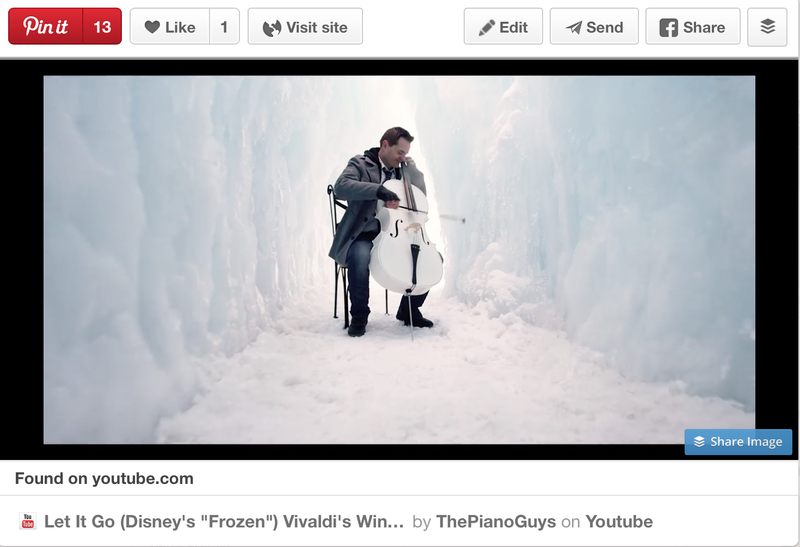 What a great listening lesson--you could have students compare and contrast this performance to both "Let it go" and "Winter"! 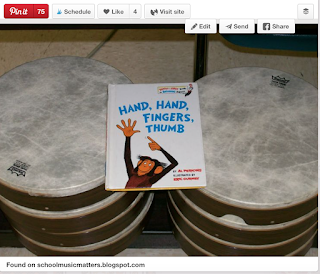 This is a great blog post about using the book "Hand, hand, fingers, thumb," with hand drums. 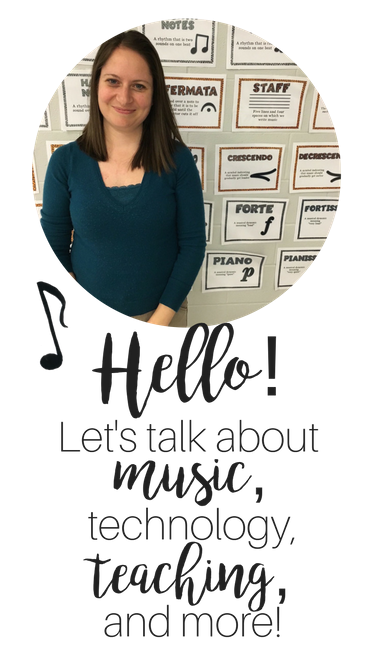 GREAT way to practice ta, ti-ti, and rest, as well as 2/4 or 2-beat meter! I'm hoping to try this soon with my second graders! I've added quite a few new boards to Pinterest recently; check out some of my other pins here. What are your five favorite pins of the month? Feel free to comment below, and make sure to check out the favorite pins of other bloggers below! Have a wonderful October!